Do you want to purchase a brand new luxury car? Or you want to go for a used car? Well, whatever be the type and model of the car that you want to purchase, there are many options available to you. These options can be easily secured through a reliable car loan lender without spending too much time. You can select a car loan of your choice either from experienced car finance companies or you may even go for the online auto loan lenders. 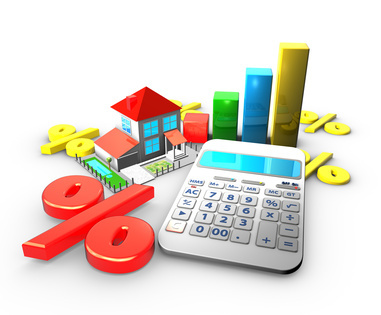 There are various factors that determine a good lender. It is ideal to follow these guidelines while choosing auto loan lenders. Trust is a must: Even if when the rates are high, it is always advised to go for a reputed auto loan company. You would not want your car title to be in the name of auto loan lender who may vanish tomorrow. Reputed lenders have open details and good advice, along with a good track record and honest reviews. Clarity: The lender should be clear in its terms and conditions. The lender must not have hidden expenses. The lender should also make clear the total amount that the auto loan applicant is going to spend on owning the car and getting rid of the car loan. Flexibility: It is possible that after some period that the debtor would like to change the terms and conditions of the auto or get a new auto loan to alter the terms and conditions of the first loan. The lender should be flexible in providing this service. The debtor should clarify this service. Options: The lender should first study the financial situation, and then put forth a number of new car loans options. Some of the debtors would like to get rid of the loan fast and prefer high monthly payment. On the other hand, there are debtors who would like to get rid of the loan over an extended period of time but want the monthly payment to be less. The lender may prefer 3 years to get rid of the loan or may opt for even 7 years for repaying the loan. The lender should facilitate the debtor with different ways of paying the money. Quick Service: The service provided by the new auto loan lender should be quick and not at a snail’s pace. The quicker the service, the better is customer satisfaction. The loan applicant should ask friends and acquaintances about the quality of the service provided by the lenders. Rates to beat the rest: Finally, every borrower looks for auto loan lenders who can provide the best schemes with reasonable interest, fast approval and refinancing options. The terms of the loan must not burden the borrower in any situation and he must be able to maintain a good credit score by clearing the loan through easy installments.